There are so many wonderful things to celebrate when a new year rolls around. 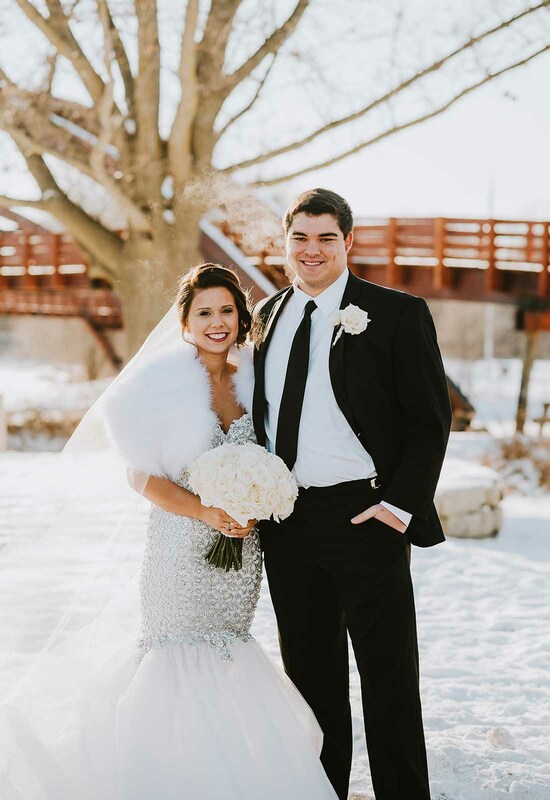 On December 31, 2017 Jordan and Chase Wiechmann decided to celebrate their love by tying the knot at The H Hotel in Midland, Michigan. 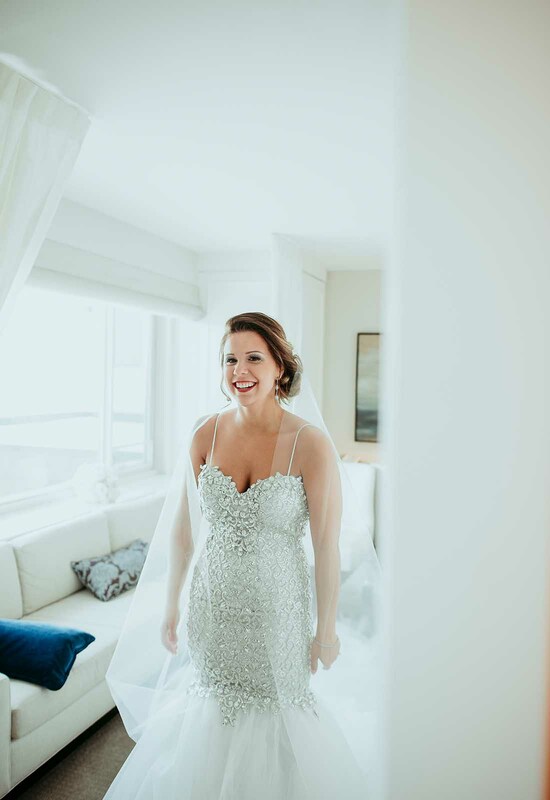 Full of all the glitz and glamour expected of a NYE wedding, nothing was more fabulous that day than Jordan in her shimmering wedding dress! 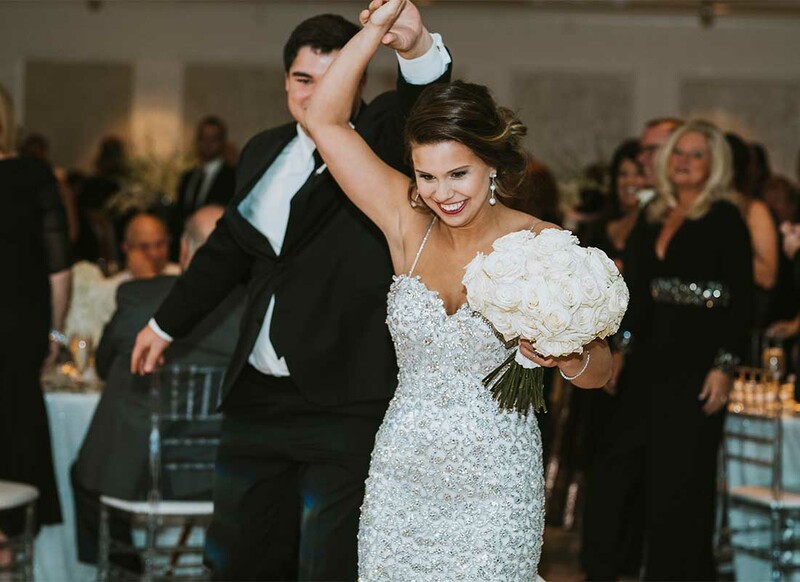 Looking at the spectacular gown that Jordan wore on her wedding day, one would never guess that she initially was not that excited to go wedding dress shopping. 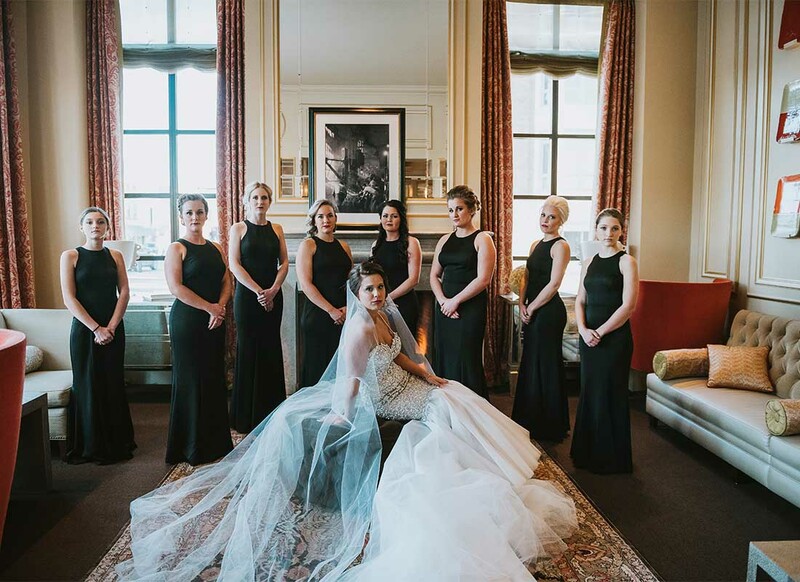 Thinking that she would not have “the moment” when selecting her wedding gown, Jordan did not know what to expect when she and her mom paid a visit to Kleinfeld Bridal. 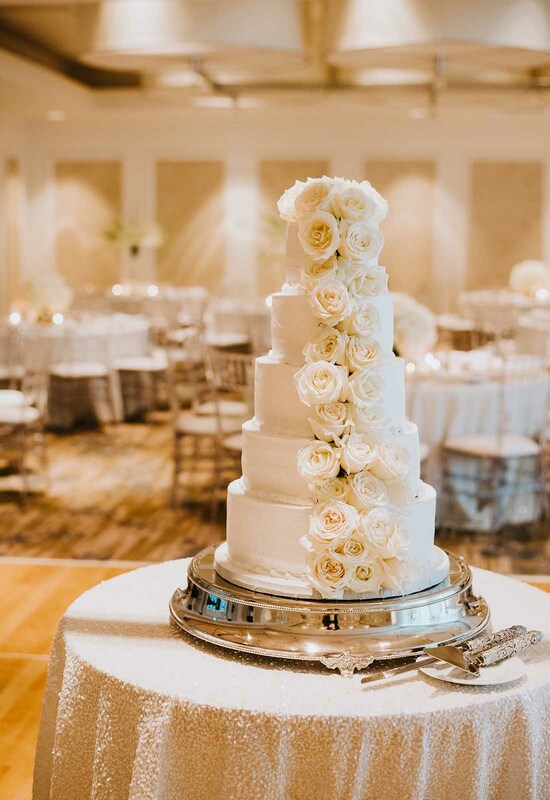 Jordan did know though that the only designer she wanted for her gown was the famed wedding dress designer, Pnina Tornai. 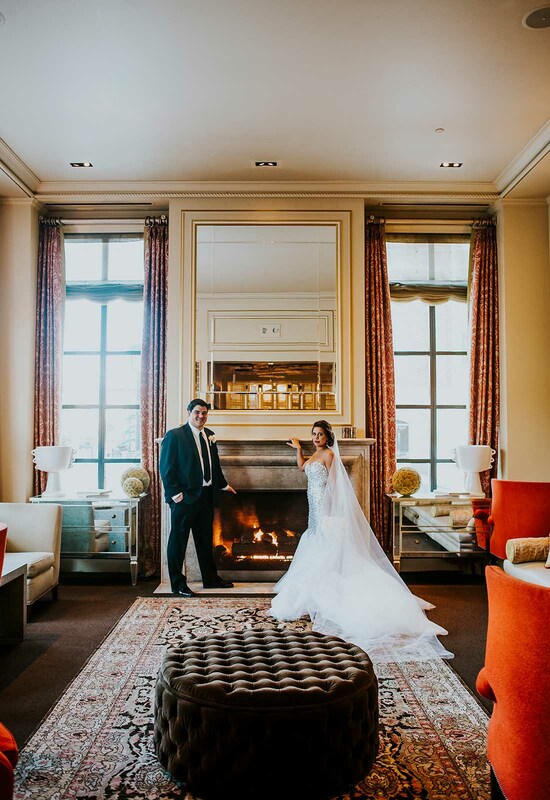 Therefore, Jordan's consultant Dianne headed into the Pnina Tornai Boutique at Kleinfeld Bridal to pull some gowns for her to try on. 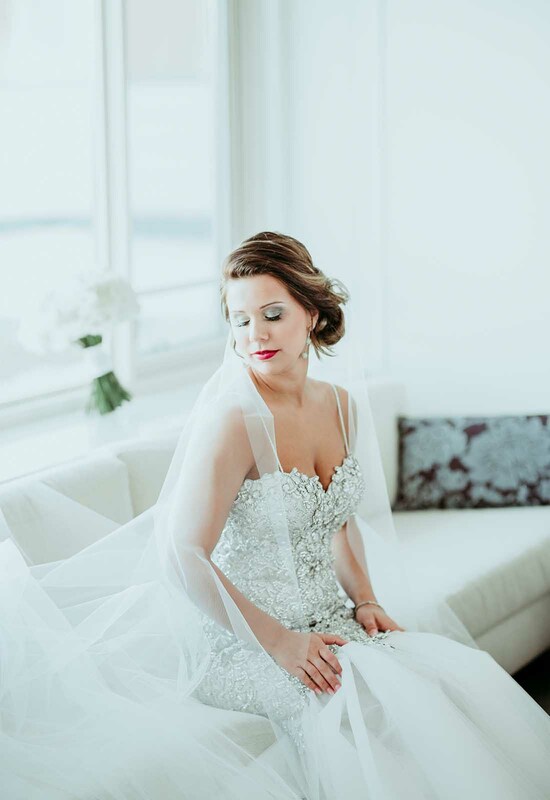 From trying on gowns back in her hometown of Michigan, Jordan knew that she wanted a mermaid gown that had some bling. 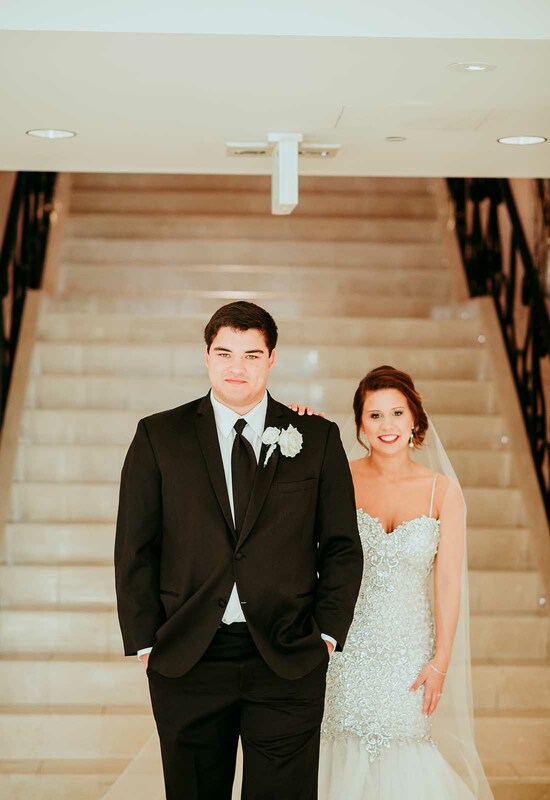 Dianne pulled her a couple of gowns that met her criteria, however, they were not giving Jordan the wow factor that she was hoping to have on her special day. 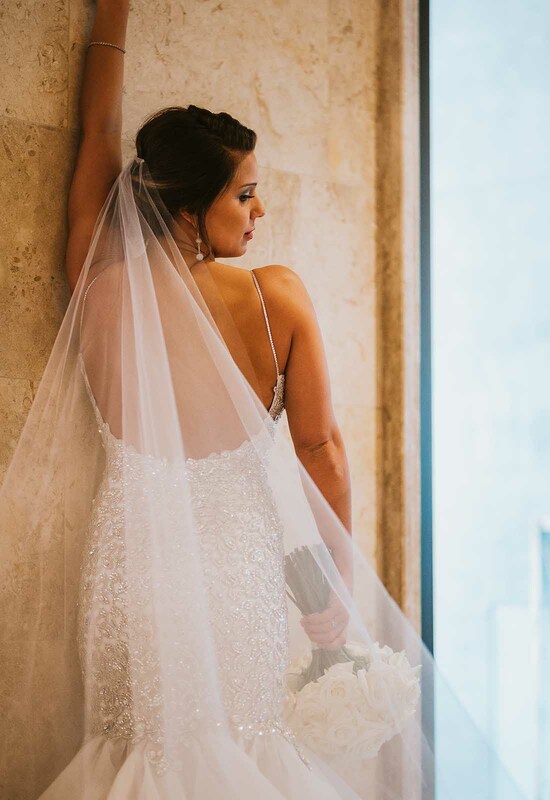 Thinking that Jordan might want more bling than she realized, Dianne headed back into the Pnina Tornai Boutique and pulled a show-stopping gown that she thought Jordan would love. 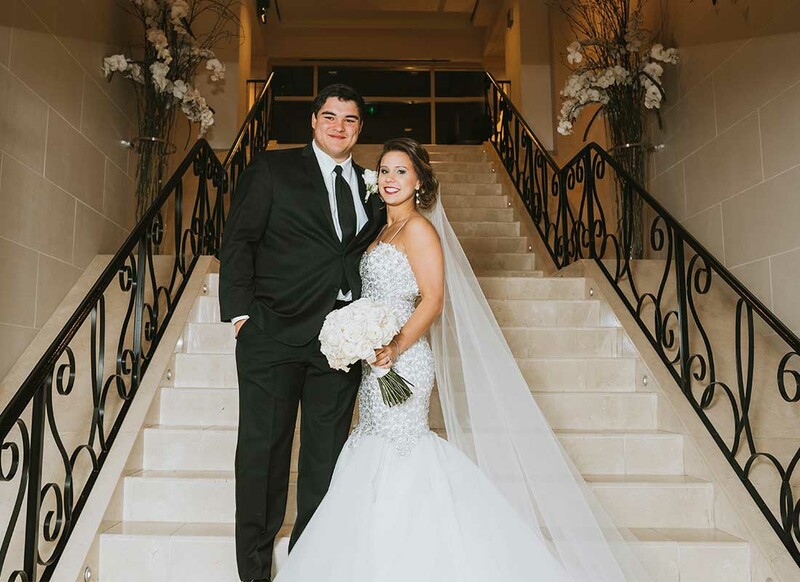 Dianne came back with a dazzling Pnina Tornai mermaid gown with a crystal beaded bodice and tulle skirt. 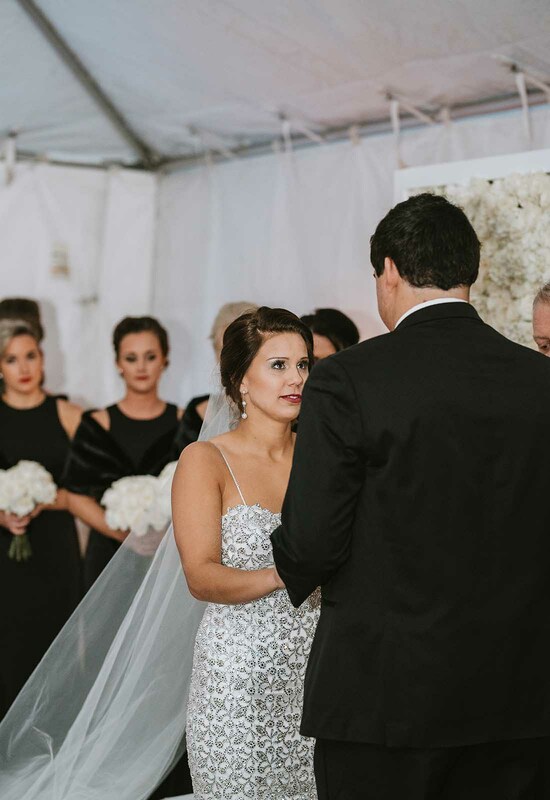 From the moment Jordan laid eyes on the dress she knew it was the one for her. 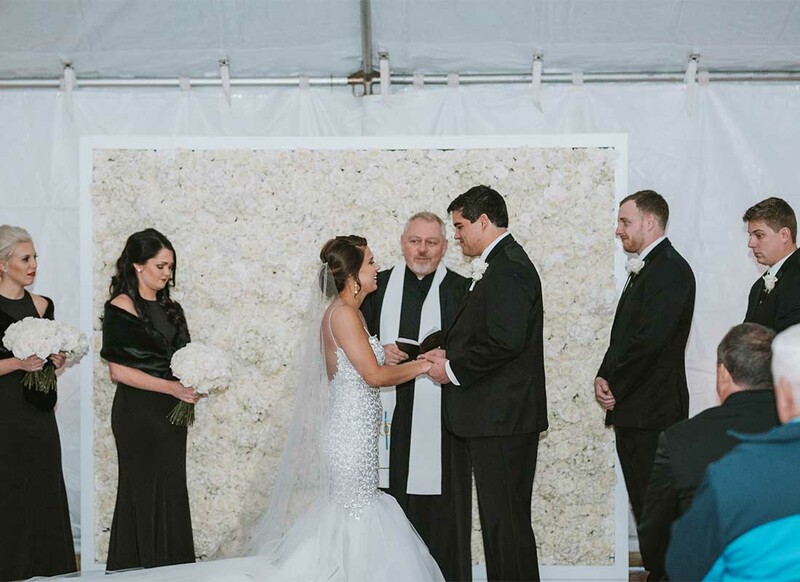 With her mother's blessing, Jordan tried on the mesmerizing gown and was instantly in love. 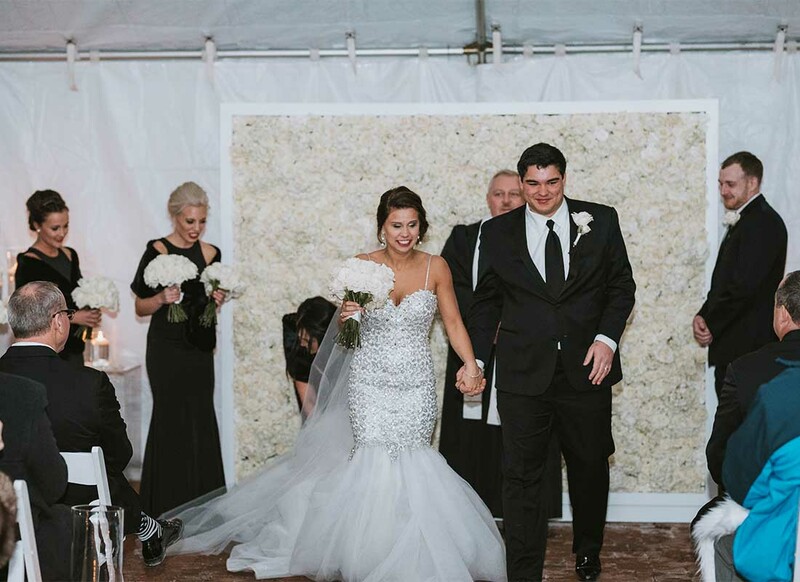 The gown was everything Jordan had hoped for and more. 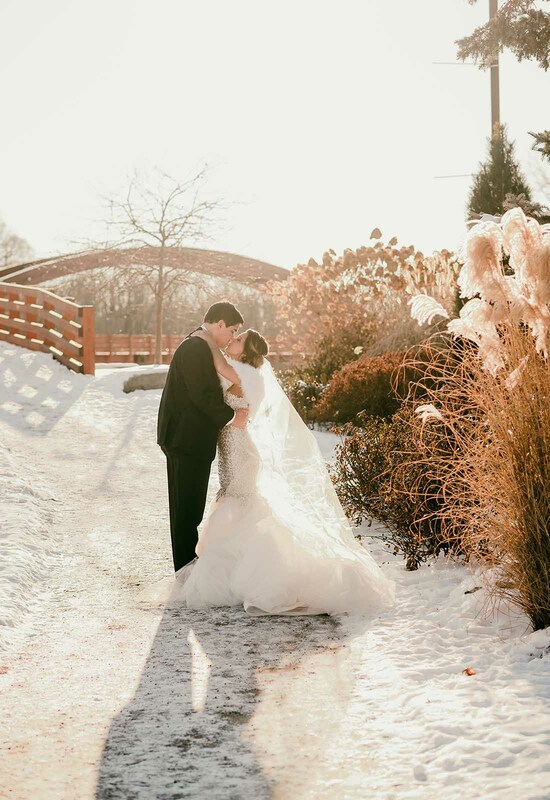 It went perfectly with her elegant and upscale NYE wedding and gave her that wow factor that she had been hoping for. 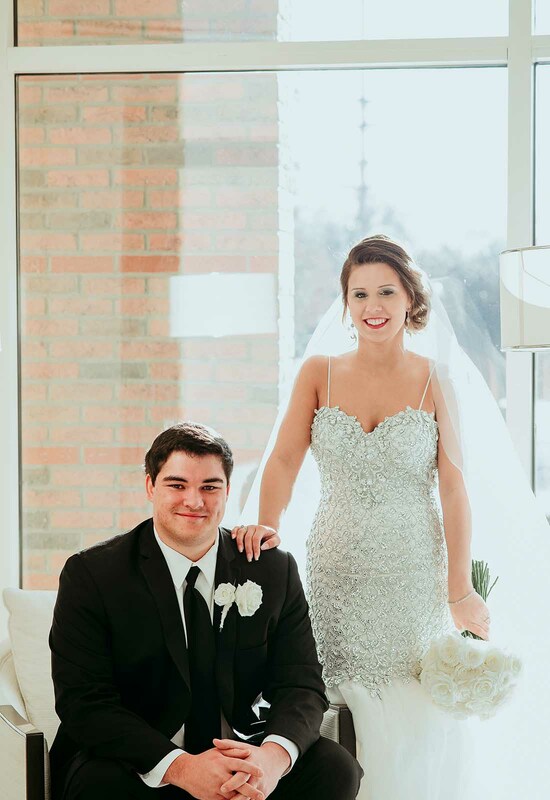 To make the whole experience even better, Jordan got her measurements taken by Pnina Tornai herself! “I've never met a celebrity before, and she was the nicest person I've ever met,” Jordan explains. 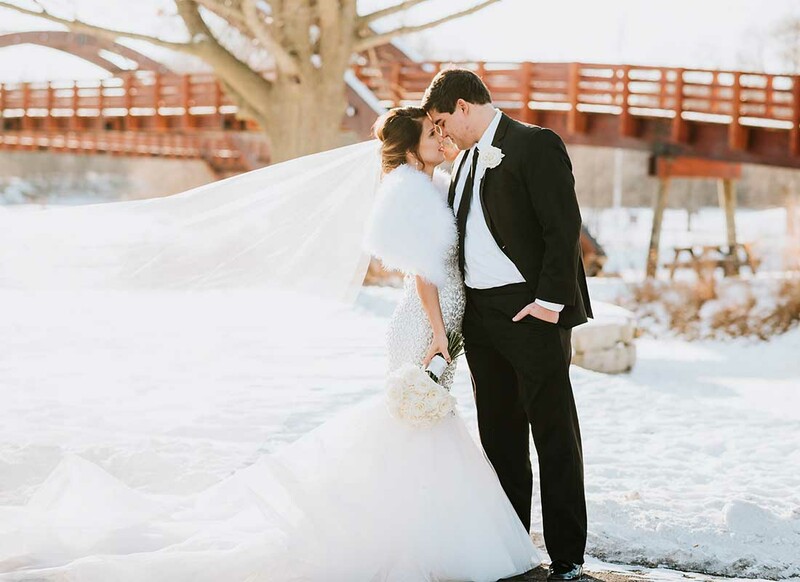 To accessorize this already eye-catching gown, Jordan chose a cathedral length, tulle Pnina Tornai veil. She also wore her mother's diamond bracelet as her something borrowed. Lastly, as part of a family tradition, her in-laws gifted her with a blue diamond ring to wear on her wedding day. 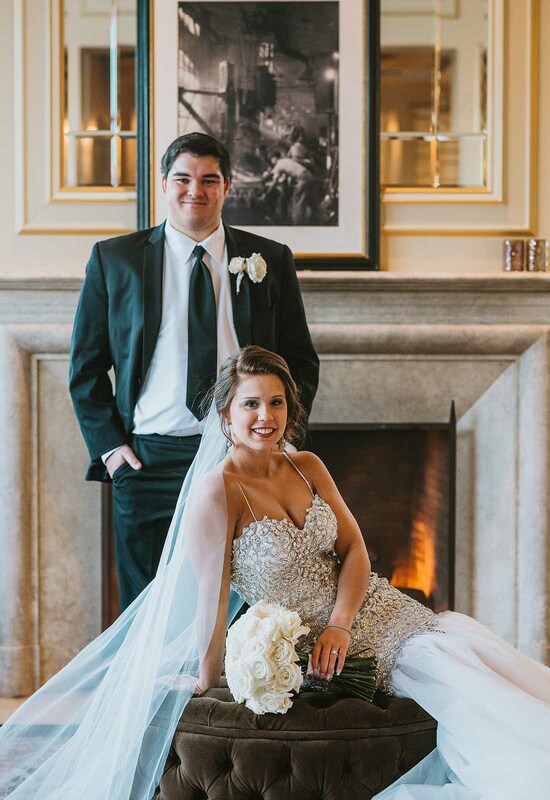 With a pop of red on the lips and an elegant up-do, Jordan's wedding day ensemble was complete. 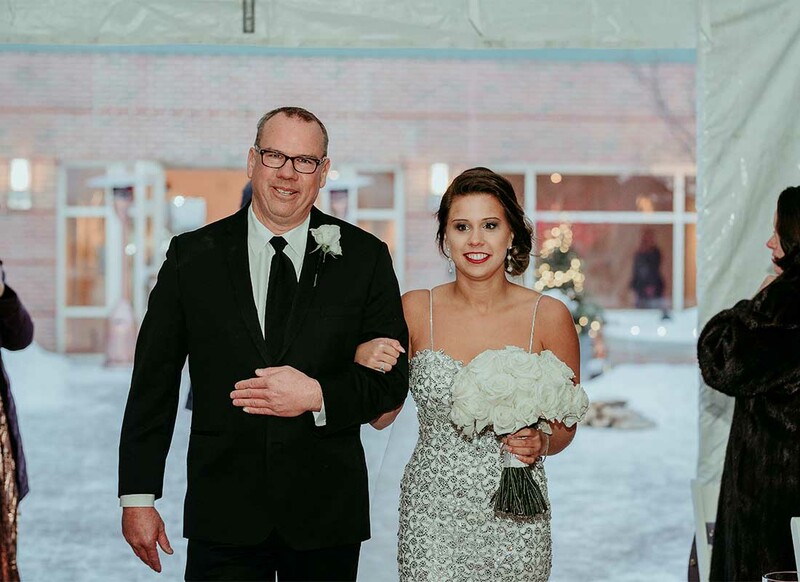 Fun fact: Jordan only wore her high heels for her first look with her dad and soon-to-be husband then switched to bridal UGG boots for the ceremony and the reception! 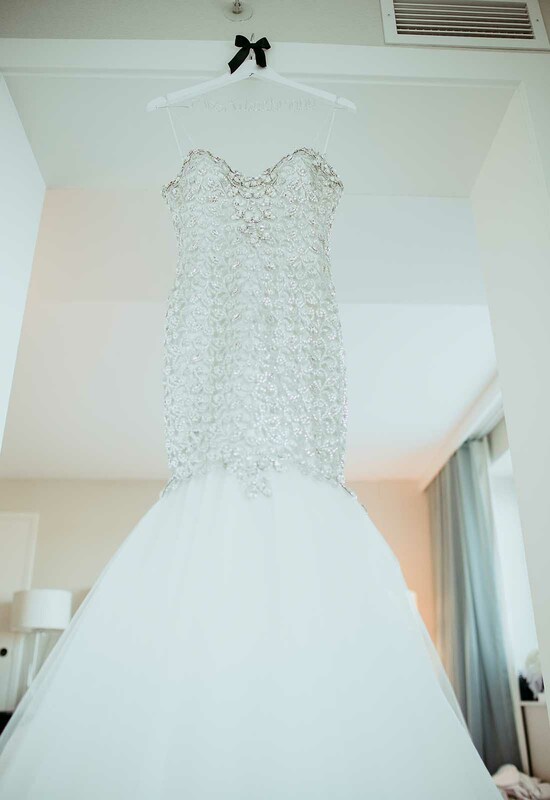 The tulle skirt had a lining so nobody even knew! 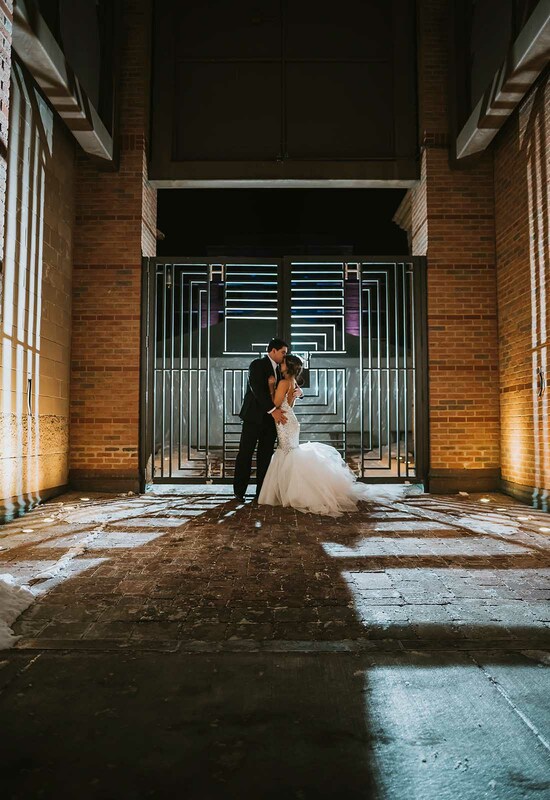 In 7-degree weather, Jordan walked down through the courtyard, shining bright and beautiful for everyone to see. 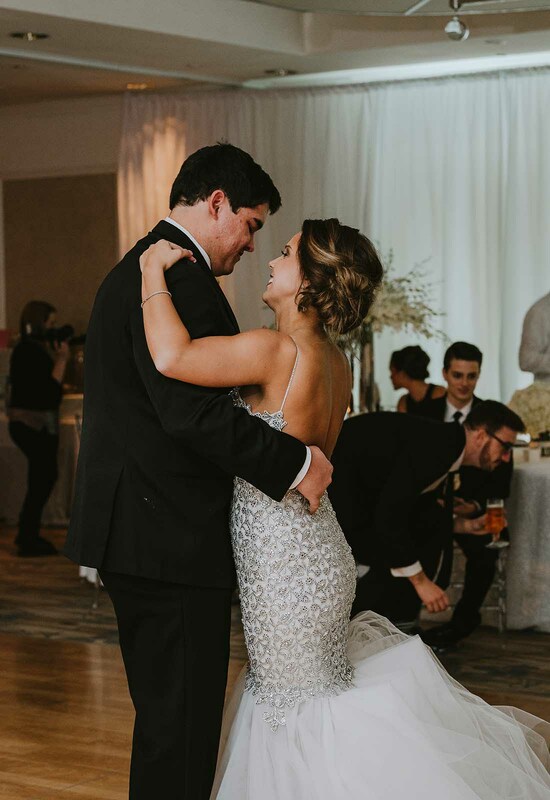 With all eyes on her, Jordan's eyes looked towards Chase and the wondrous future ahead of them.